Best Oatmeal Shampoo for Dogs - Can Oats Clear your Dogs Skin? Best Oatmeal Shampoo for Dogs – Can Oats Clear your Dogs Skin? Home » Shampoo » Best Oatmeal Shampoo for Dogs – Can Oats Clear your Dogs Skin? Most of you may think, “Oatmeal? 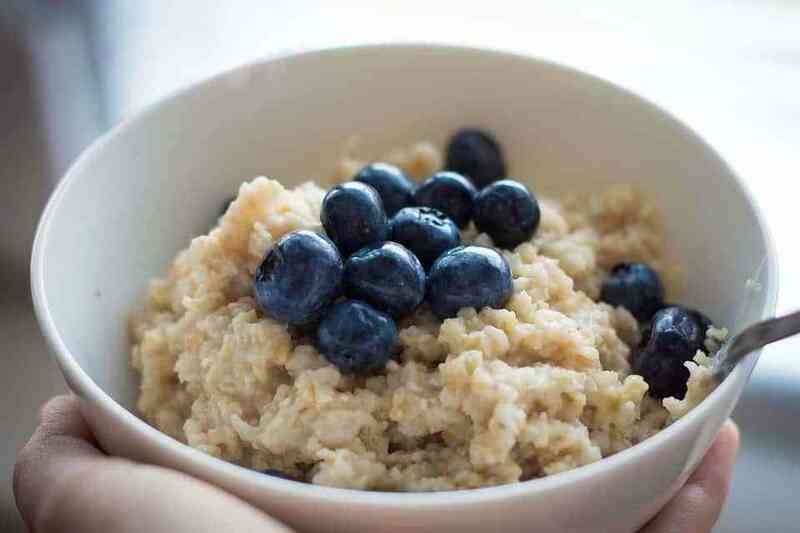 But that’s what I have for breakfast.” Well, we bet you eat it for its health benefits; oatmeal can lower your cholesterol and help to keep your blood glucose levels stable, not to mention it is full of healthy fiber. But enough about its benefits for us guys, you want to know why oatmeal is good for Fido too and what the Best Oatmeal Shampoo for Dogs is. There are some great oatmeal based dog shampoos on the market, so it can be quite tricky to choose which one will suit your pet the most. That’s why we’ve put together this list of some of the best options and how they benefit Fido, Buddy, and even Butch! No matter how hard you try to keep your dog clean, they will always find the nearest patch of grass or mud to go and rub themselves in whilst on a walk. Cleaning your dog can be an arduous task, but it must be done. Just like humans, dogs can have sensitive skin and this needs special attention. Many people tend to use shampoo which has been made for human use on their dogs, but this is one of the biggest mistakes. Dogs and humans have a different level of acidity on their skin, in fact, your pooch’s skin falls around 7.5 pH on the scale, which is actually neutral, whereas our skin is around 5-5.5 pH – much more acidic than your pet’s! Washing your dog with your own shampoo can be detrimental to their skin health and coat quality. Here’s where oatmeal shampoo comes in to save the day. Oatmeal is natural. This is the first plus to using it as an ingredient in your dog’s shampoo, it is gentle to the skin and also has calming/healing effects to any rashes or dry patches your pup might have. The polysaccharides and lubricating fats in oats coat the skin to help fight dryness and have a moisturizing effect AND saponins in the oats have a deep cleansing effect, so your dog will come out of the bath squeaky clean as well as moisturized! Oatmeal can relieve any itchy skin or general skin allergies your dog might have so it might be worth trying an oatmeal dog shampoo before heading to the vets (to get another bill). Of course, this depends on the severity of your dog’s skin condition, some will need proper veterinary attention. Aesthetically, your dog’s coat could become glossier and softer. Who doesn’t love a freshly pampered pooch with silky fur? There is also odor reducing properties in oatmeal, so your dog will smell nicer for longer! Heavily scented products can sometimes contain perfumes which can be irritants to dry or sensitive skin, so look out for this when choosing a shampoo for your dog. Natural scents are the best option; sticking to vanilla, shea butter, coconut or natural fruity scents. Since you have a pet, you will more than likely already be aware of the cruelty animals can suffer from animal testing and be completely against it. Always look for products which are clearly labeled as cruelty-free to ensure that no animals were harmed in the development of the product. Most oatmeal shampoo products will be suited to puppies as well as adult dogs, but always check if you are unsure. There are shampoos which are specially made to use on puppies, so you could opt for those if you prefer. If you like the idea of the natural effects oatmeal can have on your fur baby’s skin and coat, you can make your own dog shampoo at home. There are two main ways it can be made, one of which would be completely safe for your dog to eat if they fancied a snack mid-wash and the other which has a small amount of dish soap in the recipe. A dog in need of a bath! Start by blending the oatmeal until it resembles more of a powdered consistency, then add the water to your oats and mix. Lastly, pop a bit of olive oil into your mixture and stir it all in. The ingredient amounts can be varied to suit different sized dogs. Oster Oatmeal Naturals are made in the USA and come in multiple varieties, each with their own specific properties. The extra soothing variety contains chamomile and aloe vera and has been developed for dogs with dry or irritated skin. The versatile 100% natural oatmeal base has variations to help control odor, reduce shedding and also help to repair coats and skin – all while staying completely alcohol, phthalate, dye, and paraben free! There are no artificial ingredients stated on the bottle, it is pH balanced and their products have some really great scents, such as Country Apple, Baby Powder, and Coconut Verbena. The puppy shampoo has been said to have an overpowering scent of baby powder, leading some consumers to believe the scent could not be obtained naturally. Despite the multitude of natural ingredients, fragrance and preservatives are left as is, with no in-depth ingredients on the packaging. Wahl’s oatmeal shampoo for dogs is great for itchy or dry skin and can help to soothe any irritations. This brand has products for multiple dog-related problems, such as shedding and discolored fur, however, this is their only product with an oatmeal base. The oatmeal can, however, assist in reducing the amount of shedding your dog produces by creating healthier skin and is a natural odor deterrent, so pretty much an all-around good shampoo. The oatmeal variety smells of coconut and lime verbena and contains aloe vera extracts for an even more soothing experience. This shampoo is PEG-80 free, alcohol-free and paraben free meaning you won’t cause harm to your dog by using this product, however always check every ingredient before purchasing to ensure this! This shampoo may not be suited to daily use if your dog has any severe skin problems or is prone to allergies. This 2 in 1 shampoo and conditioner from Pro Pet Works is recommended by vets and has been created specifically to help dogs that suffer from allergies. It’s kind to skin formula with no alcohol, no sulfates, no harsh chemicals and no added colors, is scented with cherry and almond. The all natural ingredients are organic and have been chosen especially to help combat dry and irritated skin on dogs. The deodorizing effect of Pro Pet Works Natural Oatmeal Dog Shampoo is a great way to combat those wet dog smells that sometimes occur after washing a dog. Instead, they will be left smelling fresher for longer! Some consumers do say that the cherry smell is similar to that of cherry cough medicine and quite strong during the washing process, so if you or your dog do not like strong smells, you may want to try another brand. The lasting scent can vary from dog to dog, depending upon their hair type and skin. This dog shampoo is a little more pricey than some of the others in our list and is also in a smaller amount, however, it does not need to be used in large quantities – a little goes a long way. If you have a small dog, this product could be really great value for money. The bottle is designed with a handy pump top, making bath time a lot easier when you don’t have to get hold of the bottle with sudsy hands while your pooch tries to escape the tub. Fifi & Fido have created a completely naturally scented shampoo which has elements of oatmeal and aloe vera; used in its formula. These two wonder ingredients are accompanied by shea butter, which is soothing to the skin and helps your dog to remain cleaner and more comfortable for longer. 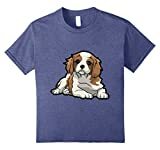 Great for a dog who suffers from itchy or dry skin. The mild scent of the shampoo may not last all that long on some dogs, so you may choose to add a scented conditioner to your bath time routine if you want your dog to smell “nicer”. Out of all 5 oatmeal dog shampoos on our list, the Particular Paws Oatmeal Shampoo stands out as one of the best options. One of the great things about this product is that the ingredients are really natural and so is the scent of the shampoo. Dogs noses are very sensitive to strong smells, so it can sometimes irritate them if they are washed in a heavily perfumed shampoo, this shampoo should suit most dogs tastes (not the food variety though). It is sure to suit you too, as you will be stroking a lovely smooth coat nourished with shea butter! Particular Paws Oatmeal Shampoo is another more pricey product on our list but is a great natural blend of oatmeal and aloe vera which is gentle enough to use for younger dogs too. This shampoo has been developed to help soothe dry and itchy skin as well as nourish your dog’s hair from the roots. Particular Paws have not used any toxic or harsh chemicals in their shampoo and only used natural ingredients, including shea butter, chamomile, and honey extract. This dog shampoo is not suited to being used too regularly or using too much of the product at one time, as could actually cause the skin to become drier. 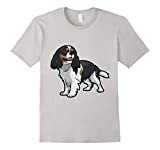 We are proud Cavalier King Charles Spaniel owners, having also owned Springer Spaniels and numerous other non Spaniel breeds. We want to ensure every Spaniel has the best start in life and continues to grow up happy and healthy.